When you get a high energy bill in the mail, you probably want to blame your energy provider. Many homeowners think that those high bills occur because energy prices rose, but they and you should actually take a look at the windows in your home. Modern windows can last for decades, but the older windows in your home might be the reason your bills keep rising. Older windows often have gaps between the glass and cladding, which lets air get in and out of the home. There are some clear signs you should at that might indicate you need new windows. Drafts that come in through your windows will often leave behind cold spots. The next time you walk through your home and feel a draft, stop and take a look at your windows. Broken or damaged seals, swollen wood and other conditions can let cold air in through those windows. You may also see foggy areas on the glass or between the panes of glass. Those foggy spots are a clear sign you need new windows. The locks found on windows perform two different functions. These locks keep your window sealed tightly to keep robbers and thieves out, but those locks also form a seal that keeps the cold air out too. If you’re on the fence about replacing your windows, try using some of your locks. If you have a hard time twisting the lock, or you find that you cannot move the lock at all, it is time to think about replacing your windows. Some locks won’t work well because of a buildup of paint on the meal from previous homeowners. 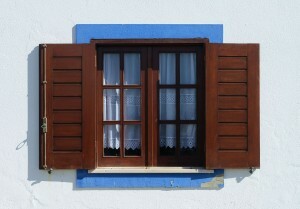 That buildup of paint can also affect the window’s ability to open or close smoothly. Increasing the amount of insulation in your home is a great way to keep every room warm during the winter. Many homeowners buy window insulation kits from home improvement stores. They attach lightweight pieces of plastic to the glass with a hairdryer to block out cold air. However, these kits do not work nearly as well at blocking out the air as new windows do. If you buy new kits year after year, it is a smart idea to purchase new windows instead. For more information on windows or for a free quote on insulation, contact USI online. USI believes that excellence in every step of the process and ensures timely completion and quality of service, time after time.